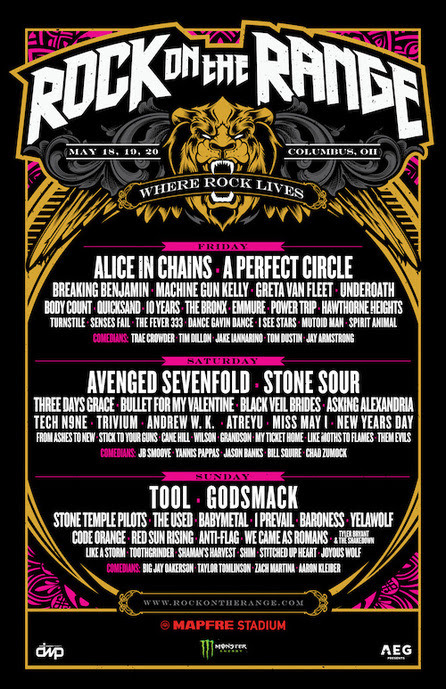 Daily band lineups have been announced for the 12th annual Rock On The Range at MAPFRE Stadium in Columbus, OH on May 18, 19 & 20, featuring nearly 60 bands on 3 stages and led by Tool, Avenged Sevenfold, and Alice In Chains. Weekend VIP and General Admission tickets for America’s largest and most acclaimed rock festival are SOLD OUT, but a limited number of single day GA field and stadium tickets are now on sale at www.RockOnTheRange.com. 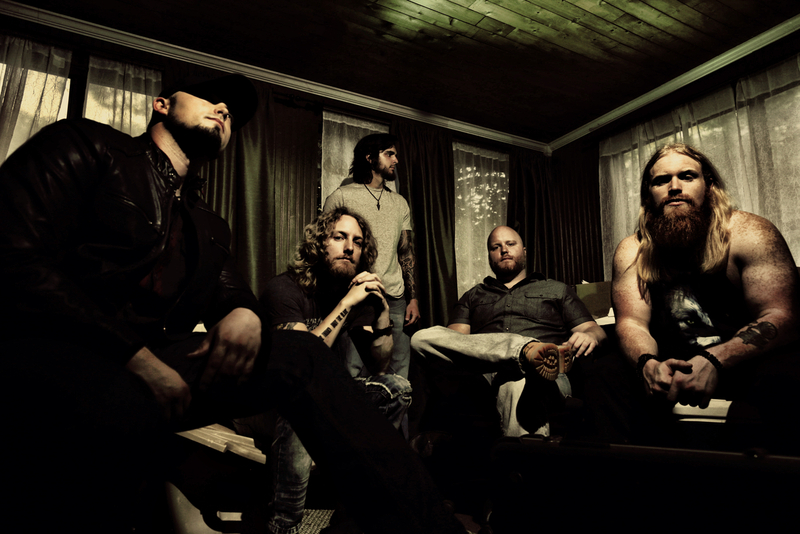 In addition to three stages of music, Rock On The Range features national and local comedy talent in the ROTR Rolling Rock Comedy Tent, led by J.B. Smoove, Trae Crowder, and Big Jay Oakerson. The Rock On The Range comedy lineup also features Taylor Tomlinson, Yannis Pappas, and Tim Dillon, along with Jason Banks, Jake Iannarino, Zach Martina, Bill Squire, Chad Zumock, Tom Dustin, Jay Armstrong and Aaron Kleiber.